Cape Town - Bafana Bafana head coach Stuart Baxter has revealed that he does not plan on using "older players" in future. 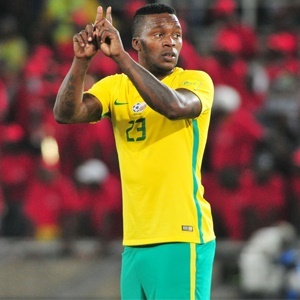 Baxter, 64, selected Morgan Gould (34), Clayton Daniels (33) and Siphiwe Tshabalala (33) as part of the current Bafana squad. Gould and Daniels started against Senegal last Friday in a crucial 2018 Soccer World Cup qualifier while Tshabalala warmed the bench. The match ended to 2-0 in favour of the Lions of Teranga as Bafana failed to qualify for next year’s tournament. "I picked 'Shabba' for the squad, but is Shabba in my plans going forward? Probably not,” said Baxter as quoted by the KickOff website. “And there’s probably going to be a few of the older players that you think will probably be phased out in the next few games. "But wholesale changes, throwing the baby out of the bath water, would be foolish because the players you bring in have to be brought in at the right time. Meanwhile, the Bafana Bafana squad have already landed safely in Senegal for their final qualifying match against The Lions of Teranga. Kick-off is at 21:30 (SA time) on Tuesday, November 14.